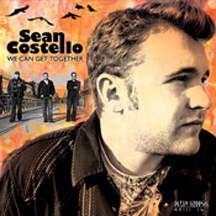 Sean Costello's last CD released just a couple of month's before his passing. The man was a prince and I was always honored to play with him. The great Rich Ianucci was the main keyboardist on the disc but he called me in at the last minute to overdub some electric piano parts. It didn't need much. It is another incredible, soulful CD as all of his are. Rest in peace my friend. 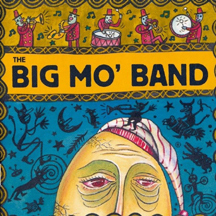 The Big Mo Band! - It took a while, but I finally got around to producing this CD with my main bros in San Diego. 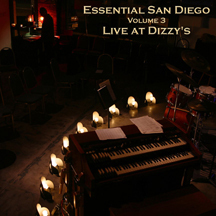 It's a mixture of New Orleans style funk with some jazz, a little blues and a lot of soul. Man I miss those guys. 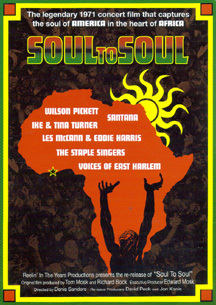 "Soul to Soul" - I played Hammond with soul singer, Earl Thomas for a bonus track on this remake of the 1971 documentary. 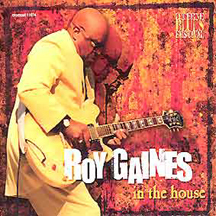 Roy Gaines "In the House". I'm on Organ and piano for this live recording performed at the Lucerne Blues Festival in Switzerland. 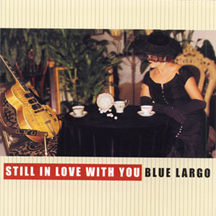 A very cool 40's and 50's jump blues record from my friends Eric and Alicia of Blue Largo. 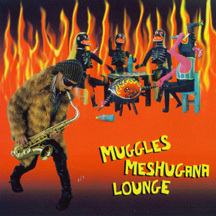 One of the best records I'm on and it was recorded in my living room! with Nathan James, Ben Hernandez and George Sluppick. 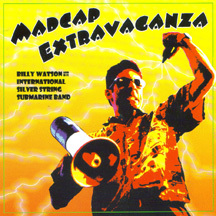 I played on a few cuts from wild man Billy Watson's record. His records are great but you really have to see this guy live to get the full effect. 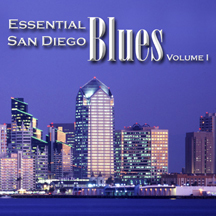 My third compilation record of San Diego's best. If you're ever in San Diego, check out Dizzy's downtown next to Petco Park. Chuck Perrin's jazz club and probably the best place to hear music in San diego. It's strictly music, no food, drinks or anything and it's been there for almost 10 years now. 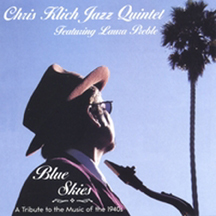 Chuck and gratiously worked with me to produce a live record of some of the great jazz musicians that work there. 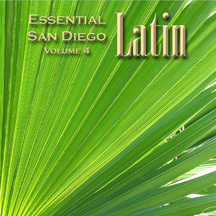 San Diego had a very cool Latin scene and I tried to capture it a as best I could with this compilation CD. 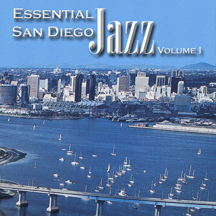 There are so many great musicians in San Diego, though it was hard to pick which cuts to use. 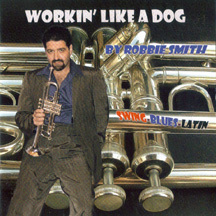 This is my friend Robbie Smiths self produced CD. It was a lot of fun to make especially with the amazing Tyler Buckley on Drums. 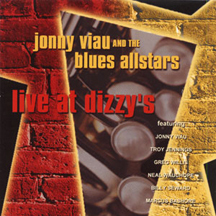 My first Compilation CD made when I was more of a blues pianist than anything else. There weren't quite as many serious blues guys in San Diego as I was used to in Atlanta, but the ones who were there didn't mess around. I had a great time putting this one together. Although the blues was my first love at the time, Jazz was always the goal. I managed to collect some recordings here of many of the heavyweights in town. This record actually became my foot in the door to start playing with some of the serious jazz players. My good friend Jonny Viau gave me my first steady gig in San Diego and we ended up playing together in Paris, Switzerland, and Mexico. Great times. Eddie Croft moved to New Orleans shortly after making this record, but it is very funky and not like anything else I've played on. 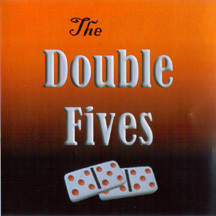 The Dow brothers are on it who are now both on Broadway with the hit musical "The Jersey Boys." This is also the first record I made in San Diego. My main gig in Atlanta in the late 90's was at Blind Willies. Although I was probably the third string keyboardist at the time, Roger Gregorry graciously let me play Hammond organ on a couple of the tracks. I'll never forget guitarist Mike Lorenz who was the first to encourage me to play the Hammond organ. May he rest in peace. 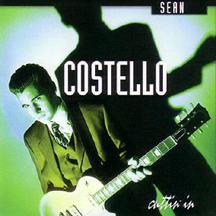 One of young prodigy Costello's early releases. I was lucky enough to play Hammond on it. Everyone knew he was gonna be one of the greats and he was. My first real CD! It was done all on 32 track analog tape at Elixir studios in Athens,GA and the legendary Capricorn Studio in Macon, GA. 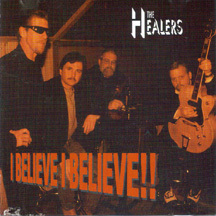 The Healers were the best known blues band in Athens at the time and man did they know how to have fun. It was pretty wild. My mom saw us play on New Years Eve one year and she said I had to give back all the money she'd spent on piano lessons. That's when I knew I was on the right track. Cheers! Hello and welcome. I'm Neal Wauchope, owner of Walk Up Music. 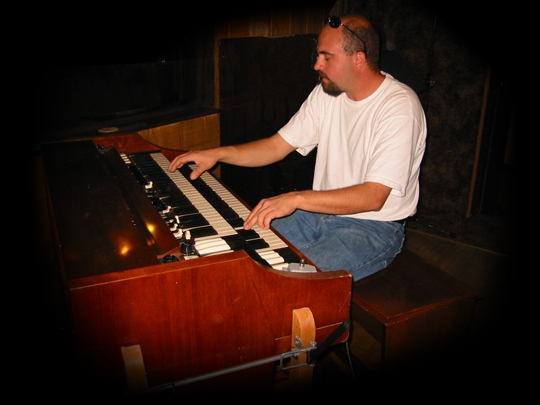 I am a bandleader and freelance pianist and organist in the Atlanta area. I've been a professional musician all my life and I will continue until I die. Its not just what I do. It's who I am and as hard as it can sometimes be, I love everything about it. Below are some of the projects I've been lucky enough to be involved in throughout my career. Thanks for visiting and thanks for listening. 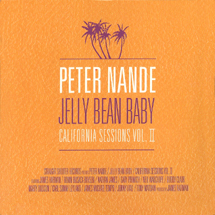 Peter Nande is a great Danish Blues musician. He hired me to play Hammond organ on this record and I got to spend a week in sunny San Diego making cool music with old friends. It's a very nice record. 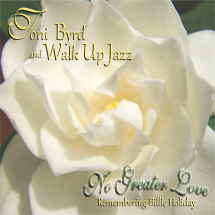 This is my latest recording with the one and only Toni Byrd. Since moving back to Georgia a few years ago, I've been playing with the most amazing musicians and this recording is the result. I'm having the time of my life with these guys and I think it shows.